When it comes to a fiber optic splice, having a good understanding of what it is and how it works is very crucial especially for organizations and fiber optic technicians who are involved in LAN networking projects as well as the telecommunication industry. To put in simple terms, the process of combining two fiber optic cables together is usually referred to as fiber optic splicing. There are also other ways in which this can be achieved apart from using fiber optic splicing and these are connectorization or termination. Fiber optic splicing, which can be done through two methods; Fusion splicing and mechanical splicing, is usually the most preferred in situations where there is need to join two different types of cable together or in circumstances where the cables run are too long for a single length fiber as it usually result into lower back reflection as well as light loss. In situations where fiber cables which buried get split or are accidentally severed, one can use fiber optic splicing to restore the fiber optic cable. In this article I will focus on the two most common methods of fiber optic splicing, fusion splicing and mechanical splicing. For organizations or individuals who are starting out with fiber optic splicing I advice that you first of all consider your long term goals before settling on any of the fiber optic splicing methods. In fusion splicing there is machine which is used to align the ends of two fibers precisely, the two glass ends are welded or fused together by use of a heat or an electric arc. By effectively implementing the above you will be able to cut down on the loss of light transition thanks to the continuous connection which has been established between the fibers. This basically refers to alignment of devices by mechanical splices which have been designed in such a way that they are able to hold ends of two fibers in a position which is precisely aligned enabling light to be able to pass from one fiber to the other. With mechanical splicing you usually get a loss of 0.3 dB. Fusion VS Mechanical Splice Which Method Is Best? When it comes to choosing a fiber optic splicing method the one thing which usually has a huge saying is economics, generally mechanical splicing usually has a very low initial investment which might range from around 1,000 to 2,000 us dollars. That said it’s also good to note that with mechanical splicing you will be required to handle and deal with the costs per splice which usually costs around 12 – 40 us dollars. With Fusion splicing you will be receiving a lower cost per splice which is usually between $0.05 and $1.50. In addition to that it is good to note that with fusion splicing you will be required to dig deep into your pockets for its initial investment, to put it clearly an initial investment for fusion splicing depending on features and accuracy of the splicing machine that you intend to use is usually between $15,000 and $50,000. With fusion splicing the more accurate you want the result to be in-terms of better alignment the more money you will have to pay up as its initial investment. With cost benefits out of the way I move to performance of the two fiber optic splicing method and I will start by indicating that based on the industry you are working with the performance of this two splicing methods may vary. Due to the fact that the resulting points from fusion splicing are almost seamless, fusion splicing tends to produce less back reflection as well as lower light loss. In today’s world there is an increase in the number of telecommunication companies as well as CATV companies who are willing and ready to invest their time and money on fusion splicing for their single mode networks which are usually long haul. The same organizations also tend to put into use mechanical splicing for their short, local cable runs. Given that for optimal performance video signals usually require minimal reflection, fusion splicing has managed to remain the first choice for many. 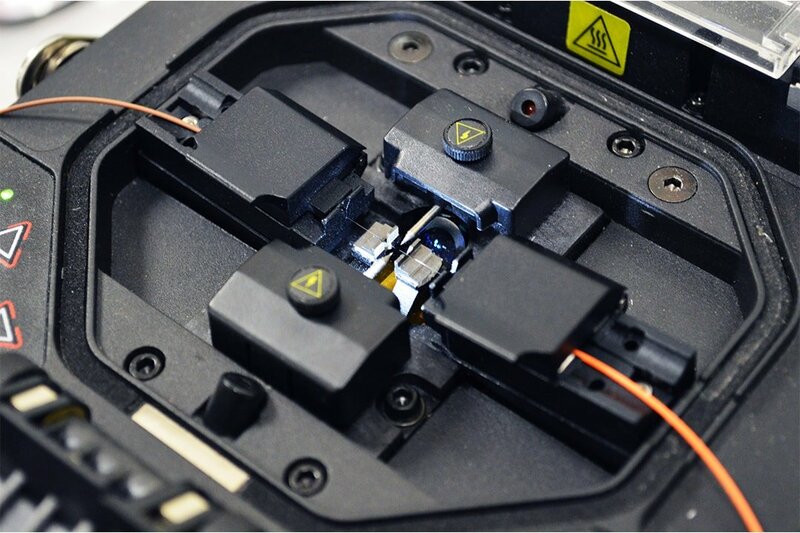 Ensuring that your cleaver is well maintained and operational is crucial, given that it is the most valuable tool when it comes to fusion splicing. If you choose to go with mechanical splicing as your fiber optic splicing method then you will have to ensure that a proper angle is established so as to insure proper end faces. The matching index gel is capable of eliminating most of the light that escapes but cannot be able to overcome cleave of low quality. A precise cleaver is needed when dealing with fusion splicing this ensures that there is exceptional low loss which is usually between 0.05 dB and less. Having poor or having cleave which is not of good quality will result into fiber ends not fusing together properly thus resulting in a high reflection problems as well as light loss. A good cleave which can easily handle the precision required during fusion splicing usually costs between $1,000 and $4,000. To ensure that the cleave lasts longer and maintain its quality ensure that the manufacture’s instructions for cleaning it are well followed and that it is used properly. Ensure that your splicing tools are thoroughly and frequently cleaned. There are possibilities of small particles which are usually not visible to the naked eye remain on your tools and fiber and this may result in huge problems when working with fiber optic. That said it’s important to ensure that your fiber and tools are excessively cleaned. Adjusting of fusion parameters methodically and minimally is a must (fusion splicing only). You might end up losing your initial desired setting by changing your fusion parameters in situation where hints of problem arise. In-case of any problem your first check should be on whether or not the equipment is clean, after doing so then you can move to checking and changing the parameters if need be. The two key factors when it comes to splicing are fusion current and fusion time. By having these two factors set with different variable you will receive results which are similar to the splice results.